Albert Asséraf, 53, who holds a Master’s degree in Information Science and Technology, began his career in 1985 with Comecon, an outdoor advertising consultancy firm. He then moved to Carat Comecon Affichage where he was appointed Director of Research & Tools in 1990. In 1993, he became General Manager of Carat Expert Affichage. From 2001 to 2004, he served as General Manager of Carat Expert Affichage et Médias Locaux and General Manager of Carat Local. In addition he has, since April 2010, been Associate Professor at the Marketing, Advertising and Communications Department of CELSA Paris Sorbonne. 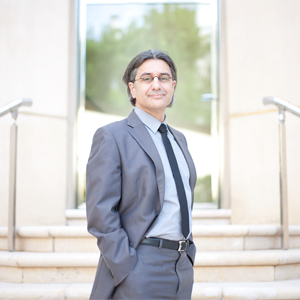 Albert Asséraf is a member of the CESP Board of Directors, Chairman of CESP’s Outdoor Advertising College and Chairman of Affimétrie, an audience metrics organization specializing in Outdoor Advertising media for 2015. He is also a member of the France Management Committee.